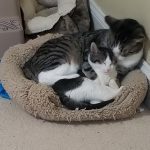 Finn has found his co-host! 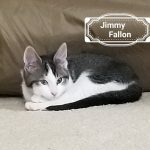 He and little Jimmy Fallon are inseparable which is perfect because Jimmy needed the love of a confident cat and Finn needed a “little” to care for. 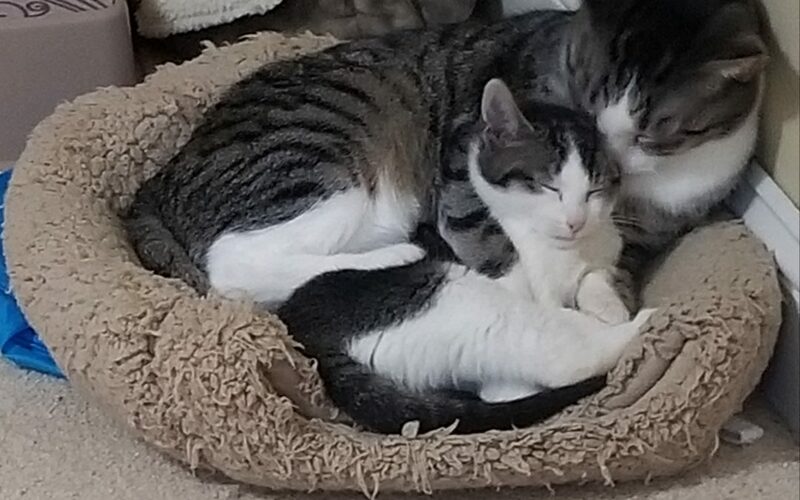 You can adopt this duo as a twofer and you will have an amazing “instant cat family”. 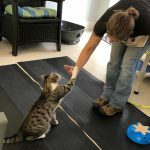 Finn will give you High-Fives for treats while also keeping Jimmy’s kitten antics under control.